This website is owned and operated by Resource Rescue Inc.; (ABN 34964210025). Your access to and use of the information contained in this website (regardless of whether or not your access or use is intended) is conditional on your acceptance and compliance with the terms, conditions, notices and disclaimers contained in this document and elsewhere on the website. Membership is open to all groups and individuals, however we reserve the right to decline or terminate membership. The membership rate is selected based the number of people in the subscribing group OR on the number of bags required for one year. Goods collected may only be used by the subscribing group and may not be resold as is. The maximum amount of materials available for collection per subscriber is determined by group size. The standard measure is the equivalent of a household green 54 litre garbage bag. (Please bring your own garbage bags). Membership is for 12 months from the day the membership was created or renewed (IE: Your membership does not start when the invoice is paid but at the time the invoice is generated), and may be renewed at any time if your material allocation has been used. UNUSED allocation does not carry over to the following year's membership. 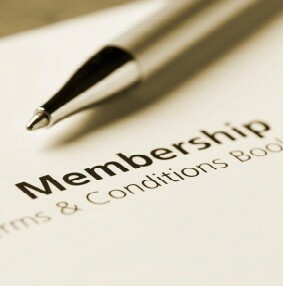 Lapsed membership of 4 weeks and over (like new members) will incur a $10.00 joining/administration fee. When your membership expires we will automatically send you a renewal invoice. Unless you have unpaid bags taken, you are not obligated to pay this invoice. The amount of materials collected at each visit is inspected and calculated by the employees of Resource Rescue Inc. and recorded on a customer record file. LIMIT signs are placed on some materials. The limits are per membership (not per person) and must be strictly adhered to. Resource Rescue Inc. does not have umbrella coverage. Each entity must have their own membership and memberships cannot be shared. Resource Rescue Inc. takes due care and diligence on selecting and making available recyclable and reusable materials for educational and community use. Resource Rescue Inc. is not responsible for any injury or damage caused by the use of materials collected / supplied. Collectors and subscribers must therefore assure themselves that materials taken are suitable for the intended purpose. The copyright subsisting in all information, text, material, graphics, software, advertisements and other material on the website is owned by either Resource Rescue Inc.;, its suppliers or licensors (as the case may be) unless expressly indicated otherwise on the website. You are not permitted to modify, copy, reproduce, communicate to the public, republish, frame, upload to a third party, post, transmit or distribute the content in any way except as expressly provided for on the website or expressly authorised in writing by Resource Rescue Inc.; or the owner of the copyright subsisting in the content. Resource Rescue Inc.; makes no warranties or representations that material on other websites to which the content is linked does not infringe the intellectual property rights of any person anywhere in the world. Resource Rescue Inc.; is not, and must not be taken to be, authorising infringement of any intellectual property rights contained in material on other websites by linking that material. All trademarks displayed on the website are trademarks of their respective owners. Nothing contained on the website should be construed as granting any licence or right of use of any trademark displayed on the website without the express written permission of Resource Rescue Inc.;, the relevant Resource Rescue Inc.; affiliate or third party owner. Under no circumstances (including but not limited to any act or omission on the part of Resource Rescue Inc.;) will Resource Rescue Inc.; be liable for any loss or damages (including, without limitation, indirect, incidental, special or consequential or punitive damages and damages for loss of profits) whatsoever which result from any use or access of, or any inability to use or access, the website or any content, products or services. You expressly acknowledge and agree that Resource Rescue Inc.; does not exert control over users of the website and is not liable either for their opinions or their behaviour including any information or advice and any defamatory statements, or offensive or illegal conduct. (iv) the payment of the cost of having the products repaired. You may have an account and password. You are responsible for maintaining the confidentiality of your password and account information and are fully responsible for all conduct carried out under this password and account. Resource Rescue Inc.; is not liable for any loss of confidentiality or for any damages arising from your failure to comply with these security measures. Resource Rescue Inc.; requests that you promptly report to it any unauthorised use of your password. Resource Rescue Inc.; makes no representation that the content or the Website complies with laws (including intellectual property laws) of any country outside Australia. If you access the Website from outside Australia, you are responsible for ensuring compliance with all laws in the place where you are located.